Speth: "The number of suppliers that we can convince to come to the UK is really more or less limited now." 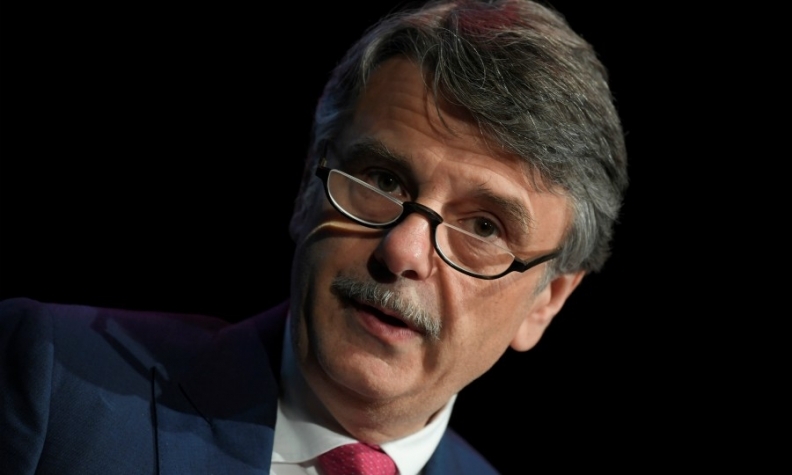 LONDON -- Jaguar Land Rover CEO Ralf Speth says the automaker is starting to feel the first effects of Brexit, with EU citizens demanding improved contracts and international suppliers less willing to commit to the country. Britain's thriving car industry had warned ahead of last year's EU referendum that supply chains could be crippled and its momentum halted if it lost free and unfettered access to the European Union. Speth told Reuters on Thursday that some of those fears were being realized after the June 2016 vote. "Inward investment takes longer or is reduced, so the number of suppliers that we can convince to come to the UK is really more or less limited now," Speth said in an interview. Speth, who was himself born in Germany, said recruitment was also becoming more complex. "People who come to the UK want to have special conditions because they don't know whether they have to leave and therefore they expect special contracts... You want to have a longer contract and better conditions at the end of the day just to be convinced." Like much of the UK car industry, Indian-owned JLR faces the prospect of tariffs of up to 10 percent on its exports if Britain fails to secure a good Brexit deal, jeopardizing the viability of production in Britain. But Speth said he believed London and Brussels would achieve a common-sense divorce settlement because politicians are ultimately responsible to "their constituencies, their region, their nation." "I believe in this kind of real common sense... and not just all of a sudden fall back into the Middle Ages where everybody fights against each other," he said. As part of expansion plans, JLR said on Thursday that it would offer an electric or hybrid option for all its new vehicles from 2020, as the industry races to compete with rivals such as Tesla and respond to new bans and levies on diesel vehicles coming into force in several countries. Speth said the firm would build greener models in its home market, but declined to say when, with better infrastructure and support from government needed. Its first electric model, the I-PACE, will be built in Austria. BMW Group also set out plans on Thursday for mass production of electric cars. Responding to industry calls for greater support in developing new technologies, the UK said on Thursday it would develop two bases to focus on connected and autonomous vehicles, including one near JLR's base in Coventry, as part of a 100-million-pound ($131 million) investment program. JLR, which was rejuvenated after being being bought by India's Tata in 2008, has boosted volumes and unveiled a new lineup in recent years, prompting media speculation that it might look at an initial public offering. Asked on Thursday whether JLR's long-term future was best served within parent company Tata Motors, Speth said: "Yes." "I really appreciate having this kind of parent," he said. "Tata sees it really as a long-term investment and to be private up to a certain degree."